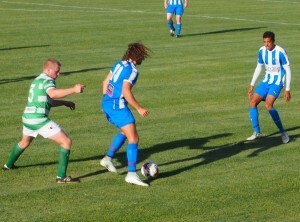 Geelong Rangers ran up six goals without reply by Golden Plains in the Geelong Community Cup on Wednesday night. Corio struggled to beat Barwon by a single goal in the early game at Stead Park. The results leave Geelong clear on top of the ladder with nine points from three games, but Rangers heads Corio for second place on goal difference as both have seven points. A strong wind blowing right down the ground made conditions difficult for the team playing against it but Barwon held out despite some near things until the last minute of the first half. Billy Argyros restored to midfield cut through and finished with a clean shot. 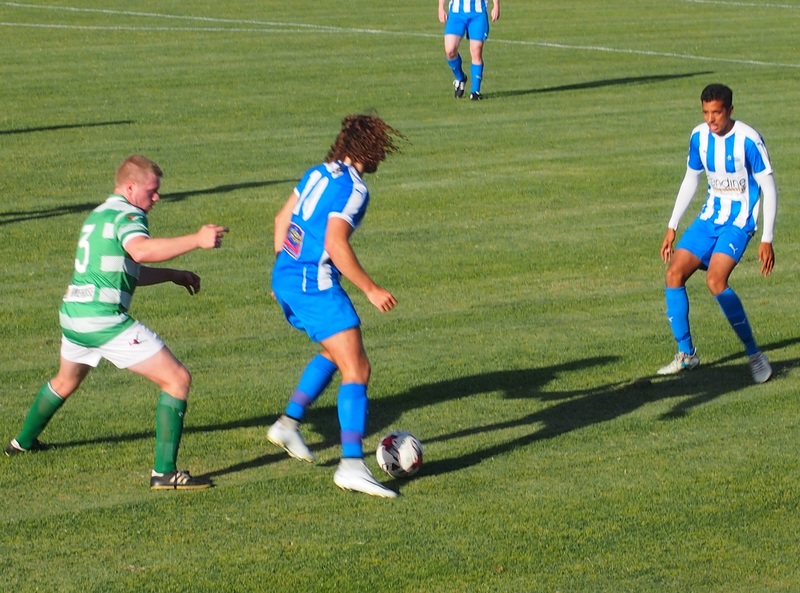 Corio had created and squandered several opportunities including a string of corner kicks, while Barwon’s best chance fell to Adam Leather but his shot was saved by Rick Apostalikas. 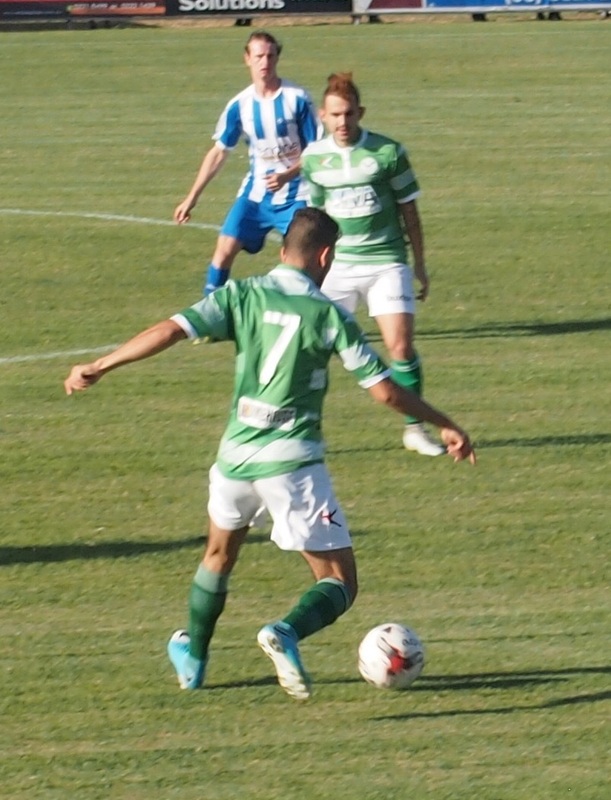 Corio still had the bulk of the play against the wind in the second half, though substitute Reza Khacaghe took too long to shoot even though he seemed to have been put clear. 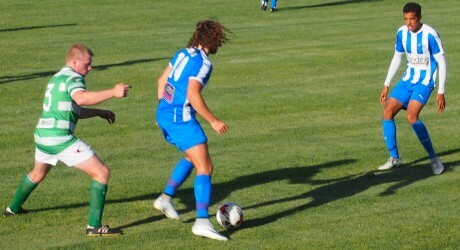 Barwon had a break in the last minute only for Shannon Kearns to pull his effort wide of the goal. Geelong Rangers scored one of the fastest goals in Geelong Cup history when Carlin McLoskey bundled the ball into the net in 50 seconds. The second after 22 minutes was another close-range contribution by Blaine Burrell. That was quickly followed by a thumping drive from Conor Reddan to leave Rangers three-up at the break. The second half began with another short range goal, this time from Ryan Calder which effectively killed any chance of a fight back from the Bannockburn lads. Two goals to Jasko Ikanovic rounded out the scoring and Rangers could have added to its tally in the last 15 minutes, but failed to do so. On Friday night Rangers plays Barwon at 6.30 pm and Geelong will follow against Bell Park at 8 pm.